This is really bad business and makes absolutely no sense.  Hopefully Todd Bowles will get it addressed before it becomes a problem. 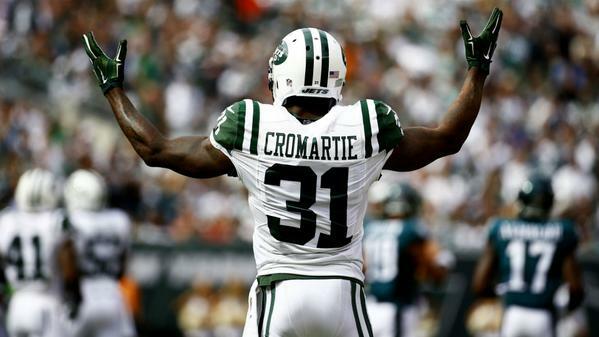 According to the Sporting News, the son of Jets tight ends coach Jimmie Johnson pissed Antonio Cromartie off on Sunday after the cornerback noticed a few trashy tweets. 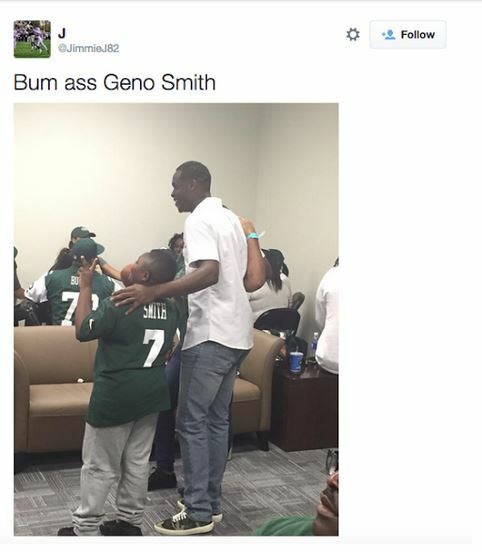 The user, who is obviously not bright at all, was tweeting pictures from the Jets locker room under his own handle. 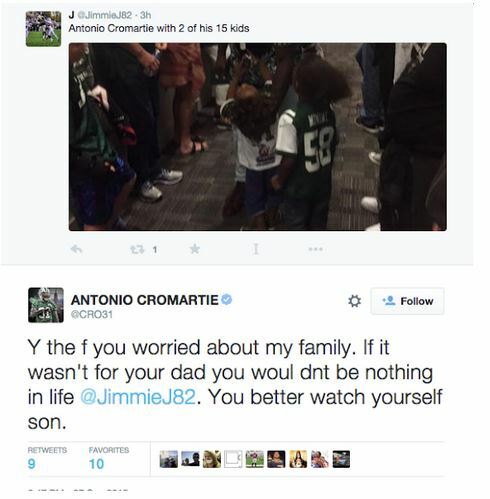 The Jets cornerback was somehow paying attention and called out @JimmieJ82 on Twitter for disrespecting his family.